It's drummed into students in truck driving school. It's constantly harped on by trainers the first few weeks someone is a new driver for a company. It's a constant thought in the minds of veteran drivers. But underride accidents still happen. On March 5 both the United States Senate and House of Representatives introduced bills requiring trucking companies to install underguards on trucks and trailers that will prevent vehicles from riding underneath the truck or trailer in the event of a crash. The bills stipulate that newly manufactured trucks and trailers must meet these requirements beginning one year after enactment of the new law. Retrofitting of all trucks and trailers must be accomplished beginning two years after enactment of the law. These two legislative bodies are proposing these bills at the recommendation of the National Transportation Safety Board, and in memory "the thousands of victims of underride crashes." Currently, only trailer rear guards, commonly referred to as DOT bumpers, are required by law. But proponents of this new legislation say that it isn't enough to save lives. Representative Mark DeSaulnier (D-CA) noted in a press release announcing the bill that at least 300 victims are killed each year from underride crashes. And Marianne Karth, who lost two daughters, 17-year-old Annaleah, and 13-year-old Mary, in an underride crash, told WPTV, “It's a very devastating crash. It's like the most devastating you can have." In that incident, the girls were in the back seat of their car when it got hit from behind by a truck; which pushed them underneath a tractor-trailer. The bill text included language with the names in memory of these families, and many others. There are two types of underride collisions: From the side, and from the rear. The side underride collision usually occurs as a truck is making a left turn, crossing an intersection, trying to make a U-turn, or is backing across traffic. While truck drivers are usually extremely careful to make these movements only when it is safe to do so, poor lighting conditions because of weather, the angle of the sun or nighttime can make the truck and/or trailer less visible to oncoming traffic than he or she might think. According to Crash Foresics.com, the size of the tractor-trailer itself is only one factor in its visibility, because the ability of a motorist to see that tractor-trailer might be diminished by the lack of contrast between the rig's coloration and the background, for example. Marker lights, often placed up to 26 feet apart on some trailers, don't provide the visual clues in poor lighting conditions for the motorist to perceive there is a 53-foot trailer across their path. Adding to the danger for motorists is that under the circumstance where the truck driver is presenting his tractor-trailer side-on to oncoming traffic he or she is going unusually slow, making it a hazard for a longer period of time. Crash Forensics explained that to a motorist the side-marker lights might appear to be stationary making the motorist think they are distant taillights or even roadside markings. The other type of underride collision occurs when a motorist vehicle crashes into the rear of a truck or trailer. There are many contributing factors including visibility, the relative speed of both vehicles, dirty or inoperative truck or trailer tail lights, and what the truck driver is doing, such as slowing for a railroad crossing, being parked on the side of the road, or slowing to enter a destination off of the road. Because of these types of collisions the U.S. Department of Transportation mandated in 1993 that all trailers had to have markings, commonly reflective tape, that would help a motorist identify a trailer in his or her path. These include side and end tapes, and tape on the rear of the trailers marking the upper corners. 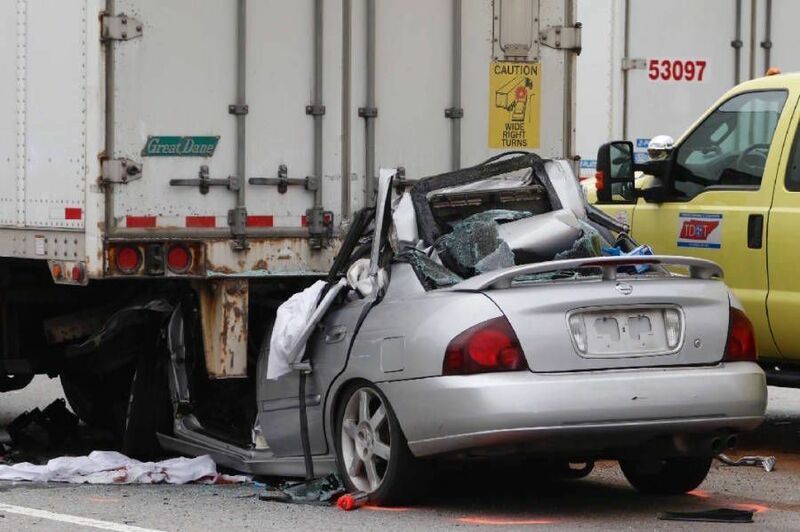 Crash Forensics warns truck drivers, however, to not rely too much on the motorist's ability to spot these telltale tapes and avoid a collision. Tapes might be dirty, or worn out, or the truck might be situated in a position where the pattern does not immediately identify the obstacle as a trailer. The legislation has support from the Commercial Vehicle Safety Alliance, Advocates for Highway and Auto Safety, Consumer Reports, the Truck Safety Coalition, and the National Safety Council Road to Zero Coalition. Some trucking concerns, on the other hand, question the validity of the additional hardware hanging from trucks and trailers for increasing motorist safety. They question the cost and additional weight. Plus adding additional guards can create challenges for maneuvering, crossing railroad tracks, and high curbs, etc. 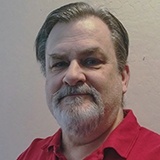 Owner-Operator Independent Drivers Association President Todd Spencer said in a press release that OOIDA opposes the bills, saying new laws would result in little or no safety benefit. The Association is aware that for several decades the federal government has considered numerous proposed rules involving underride guards, but consistently concluded that the costs and impracticality would far outweigh perceived benefits to safety, the press release stated.